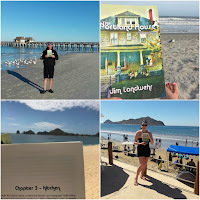 As part of my book promotion, I run a giveaway contest that encourages people to send me photos of themselves with my book, The Portland House. I had a lot of fun with the same contest for Dirty Shirt, so thought I would do it again with this book. The prize for a couple of randomly drawn winners is a signed copy of the book. Social media has made people much more willing to share photos of themselves, so doing it with the prospect of maybe winning something garnered some creative photos. Quite possibly the most creative one was by Jody Morris, who owns a goat farm in Upstate New York. She showed that goats are more intelligent than we give credit for. Here's one of her goat pictures. Then, there were a fair number of people posting pictures from warm places. Florida, California and Mexico were a few of the favorites. 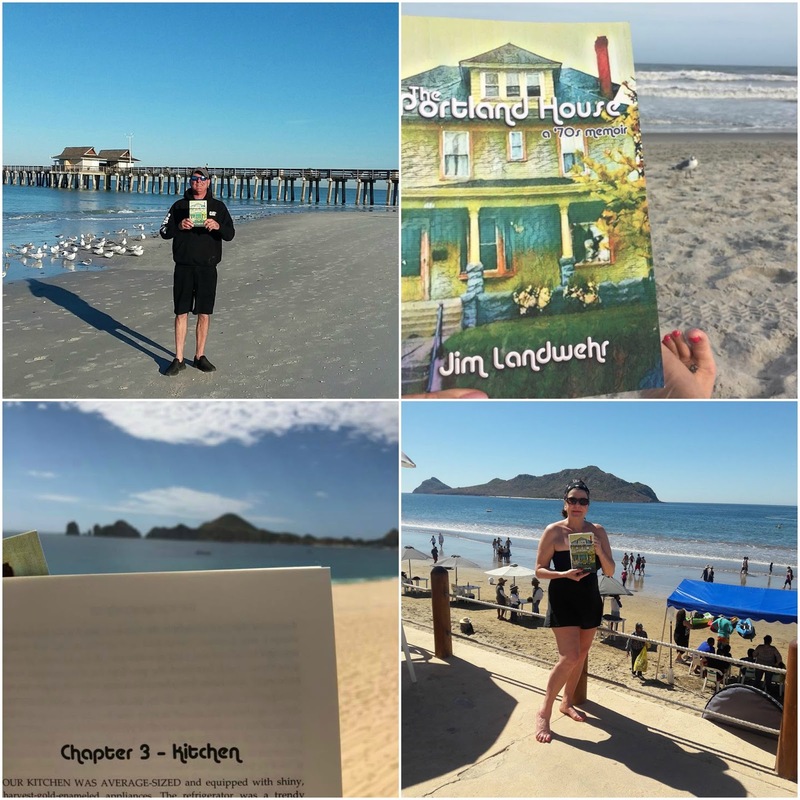 As hard as it was to know that they were somewhere I wanted to be, it was still great to see that they were reading my book on a beach somewhere. Pets were a new twist to the giveaway too. 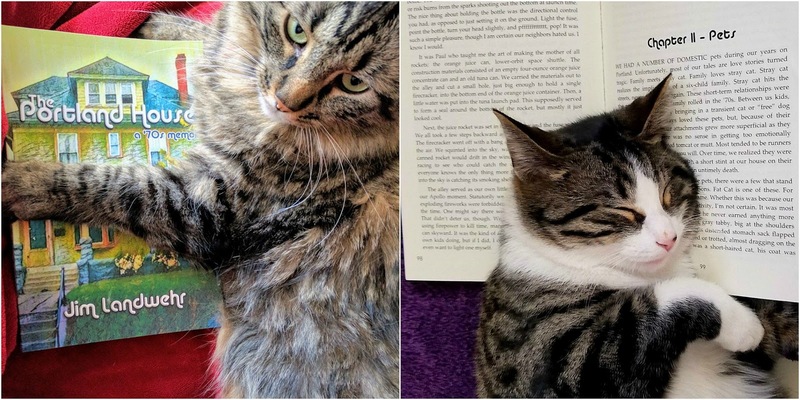 There were a couple of cat pictures, one even shown reading the chapter on Pets. LOL. 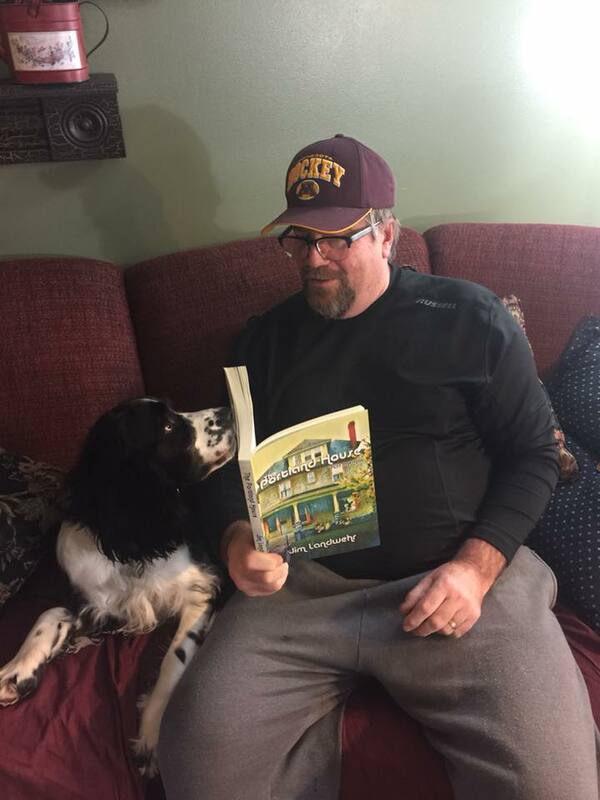 And not to be outdone, my friend Philip had a picture of the book with his dog looking on, waiting to hear what happened to my dear dog, Lance. There were some funny ones too. People just joking around or letting their kids pretend to read the book. One person even mentioned trying to get a picture of the book with an Alpaca. Still waiting on that photo. There were a host of other great ones too. Ones taken from planes, with food or just around the house. All were entered into the drawing that took place yesterday. Turns out the winners were my friend Pat Spahn, a character in the book, and my cousin, Mary Jensen. 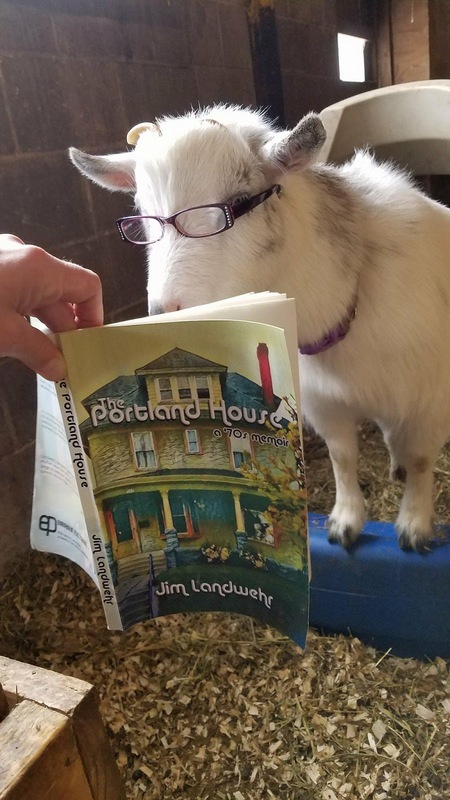 Which reminds me that I am continually seeking pictures of people reading the book in obscure places. My step-sister is an airline attendant and will likely post pictures in a foreign country before too long, so watch Facebook for those, as I post them. Thank you to everyone who has contributed a photo, a review or just those who have purchased the book or offered an encouraging word.